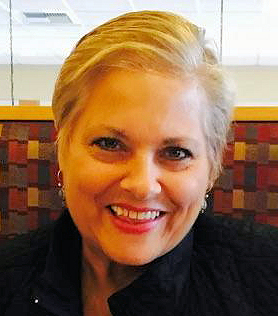 Obituary for Kim Joanne (DeFilippo) Patterson | Sollon Funeral and Cremation Services, Ltd.
Kim Joanne Patterson, 61, of Canonsburg, died Sunday, December 2, 2018, after a long and valiant battle with cancer. She was born January 26, 1957, in Washington, a daughter of Joseph and Sylvia Rodighiero DeFilippo. Kim was a member of St. Patrick Church, Canonsburg. A woman of strength, courage, determination and unwavering fearlessness, Kim faced her diagnosis head on and was determined to beat the odds. She did just that and when given six months to survive, Kim chose to LIVE for 6 years. Kim was an amazing artist, she traveled to many places, spent time with her family and most of all loved and adored the two lights of her life, her grandchildren, Bella and Brian. Kim’s passion for her work was unmatched. She began her career as a Secretary and Medical Transcriptionist at Canonsburg hospital where she worked for 17 years. However, she found her voice representing others for what is right and just. Kim went on to become a long time activist and leader of SEIU Healthcare Pennsylvania, the largest Healthcare Union in the Commonwealth. Friends will be received Thursday, 2 to 4 pm and 6 to 8pm, at the Sollon Funeral and Cremation Services, LTD, 30 East College Street, Canonsburg, Phillip L. Sollon, supervisor, J. David Sollon, director, 724-746-1000. Departing prayers will be recited in the funeral home, Friday, at 9:30am, followed by a Mass of Christian burial, in St. Patrick Church, at 10am. The family kindly suggests memorial contributions be made to the National Pancreatic Cancer Foundation, www.npcf.org, or the American Cancer Society, www.cancer.org, in Kim Patterson's name.